Outside my window…it’s cloudy, but not raining as was predicted. I am hoping…after I finish this blog, to have a little time to read before the kids wake up from their naps. I am thankful for…Daxson offering to run to the grocery store for some fruit and milk. From the learning rooms…The Little Red Hen. From the kitchen…anything that William can eat…I’m tired of cooking multiple meals! I am wearing…khackis and a brown t-shirt. I am creating…all kinds of new educational manipulatives, from lacing cards to sequence cards and tracing cards to felt stories. I am going…to have to get Joseph some more map puzzles. I am overwhelmed…by the realization that Joseph is only limited by me…he is just a big sponge and the more I offer, the more he learns. I am praying…along with Wayne Weible in his Medjugorje Prayer Book. I am hearing…the hum of the computer and the sound of lullaby music from the bedroom. Around the house…trying to rotate toys, so I’ve been cleaning, organizing and sorting. One of my favorite things…Lucky Charms…yep, it’s true…I love those little multicolored marshmallows and cereal. Yum. A few plans for the rest of the week: Organize, sort, rearrange. Color, laminate, cut manipulatives. Clean. Play. School. Not in that order. 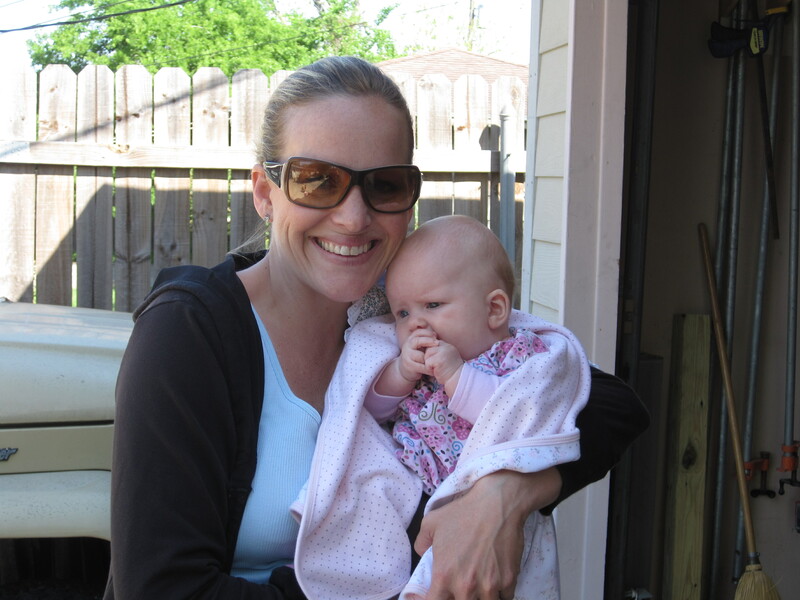 Lisa and baby Kate stopped by to visit last week!